Giving doesn't have to break the bank or cut into your schedule. Check out these compassionate companies and individuals who've teamed with Tenth Life to offer you a multitude of simple alternatives for helping us give cats the lives they deserve. You can begin at our wish list or choose one of the many options below. Do you shop via Amazon.com? Signing up for the AmazonSmile program is easy and free. When you shop, Amazon donates to Tenth Life on your behalf! Simply click here, follow the steps, and then start shopping. For every qualified purchases, Amazon donates 0.5% of your purchase to us! Tobi Cares makes it simple to support Tenth Life while you shop at no extra cost to you! Every time you order from Tobi.com, Tobi will donate a portion of the purchase price to Tenth Life Cat Rescue. Simply select Tenth Life Cat Rescue by clicking this link and they'll save your settings so you can always support Tenth Life. First time customers get 50% off their first order too! Happy shopping! in need because 2% of every purchase is donated to Tenth Life! 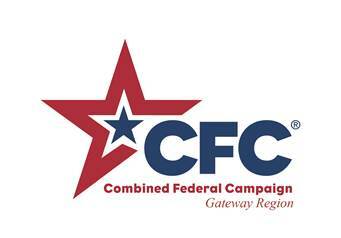 Do you participate in the Combined Federal Campaign? This is an easy but effective way to support Tenth Life's mission! Our CFC code is 31708. We are now able to accept vehicle donations! or call 1-877-999-8322. THANK YOU! When you purchase Tuft + Paw using our link, we'll receive 10% of your purchase and you'll get some of the nicest kitty furniture and beds around. If you're feeling generous, you can also purchase their furniture for 50% off when you choose to gift it to Tenth Life! Send an email to donations@tenthlifecats.org if you want to find out what we need most. Tenth Life is a proud member of Bissell Partners For Pets. The Partners for Pets program allows Tenth Life to earn proceeds from your purchases all year long. With Partners for Pets, when you purchase any pet product on bissell.com, a portion of your purchase will be donated through the BISSELL Pet Foundation to theparticipating animal welfare organization of your choice! Simply shop pet products on Bissell.com, enter the code ADOPT at checkout, and choose Tenth Life to receive proceeds from your purchase. It's that easy! Start here. Groceries and cats - the best combination. Sign up for an eScrip card and, with every purchase you make at a participating merchant, Tenth Life gets a donation! It costs you nothing but helps us out. Is it your birthday, anniversary, wedding, or bar/bat mitzvah? Jeans day at the office? Just feel like giving? Collect donations for Tenth Life in lieu of gifts and contact donations@tenthlifecats.org! Running or walking in a race? 5K to ultra-marathon and everything in between - collect pledges to help the kitties! Click here for a sponsorship form. Crafters: do you knit, crochet, or sew? Make little blankets for our kitties! Here's a simple pattern to start with. Donation boxes - ask a small business owner if we can put a donation box at their checkout counter. In-kind donations: ask local businesses to contribute gift baskets or other goodies to help us raise money at our events. Email donations@tenthlifecats.org for details. Click the two buttons below to set up accounts and Tenth Life will benefit every time you to do your Internet searching and shopping! Have a special skill? Yoga instructor? Photographer? Fitness coach? Sign up to use your special skills for good on a regular or one-time basis. Get creative. Throw a party, host an event, do a day of chores for others for a fee! If you can imagine it, it can be done! You can also talk about us or any of our partners or supporters! We're @tenthlifecats everywhere and we use #tenthlifecats and #savedbytenthlife! Email donations@tenthlifecats.org to sign up or request information. Thank you!